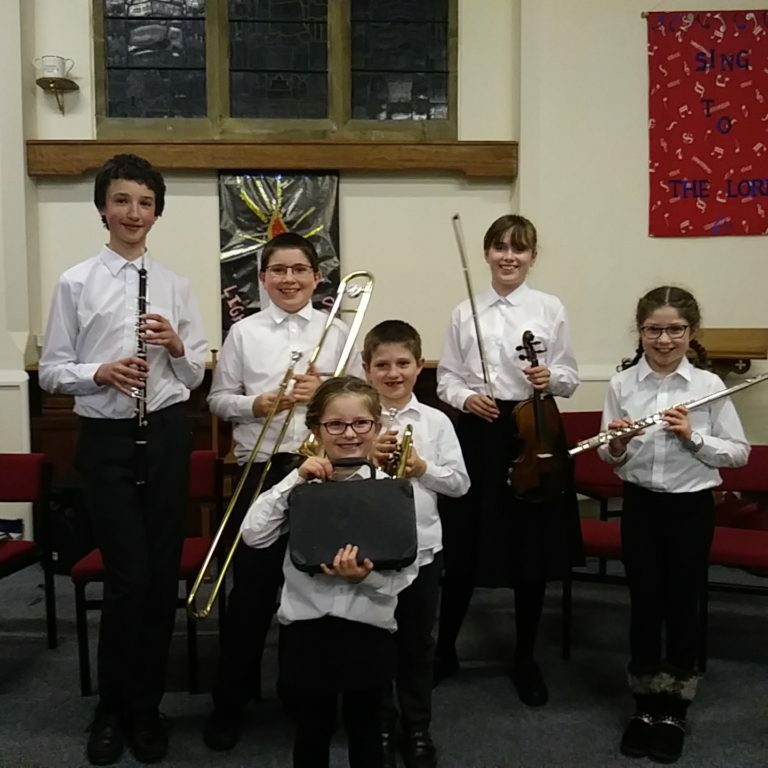 Fyling Hall pupils young and old did themselves proud last weekend when they performed in the Whitby Music Centre Spring Concert at Fylingthorpe Methodist Church. Alyssa Kelly sang with the choir, while Zachary Kelly played for the WOW band. Megan Hinds performed a wonderful violin solo and played for the Strings Group. Amelia Kelly, Damon Kelly and Tomas Richardson played for the Whitby Area Concert Band and Damon and Tomas also performed a duet. They were all conducted by former Fyling Hall teachers Gillian Edwards and Sue Rowland. It was a wonderful night and it was lovely to see the school so well represented.